Before being spontaneously combusted in flames for not using the search function, my question is slightly different to the normal 'how do I', I have already read through - I think - most if not all of the threads relating to navigation and haven't really found what I am looking for so here goes. 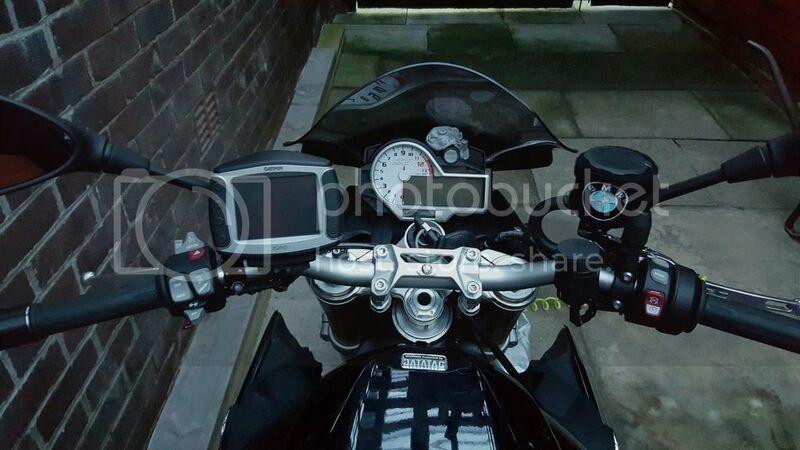 I am thinking about adding navigation to my bike but am a bit 'particular' about how I install things so want the install to look as OEM as possible. The obvious solution is to use the BMW Navigator but frankly for the cost I'm not sure it's worth the money so unless anyone has an argument to say its worth it (given there is no bike integration on the S1KR) I am minded to go down either the Garmin Zumo or Tomtom Rider route. I haven't decided which I am going to go for just yet, but still contemplating how and where to install the bracket and which mounting solution to use. I know for certain I want it to be central (i.e. in the middle of the bar to look symmetrical), the normal ones that I have seen are offset as they replace one of the bolts with the RAM mount which I know would annoy me so I'm looking for something more akin to the BMW mount, but if I can help it without having to take out another mortgage to buy their OEM solution; so does anyone have any details of installs they can share? I'm after images of how people have installed their navigation solutions to looks as OEM as possible and details of the mounting hardware, not details of the navigation devices themselves, that's the easy part! In fact the OEM mount is not that expensive and it has the important advantage of coming with double rubber damping so the natural vibrations will reduce significantly their impact on any device. I didn't realise it came with rubber damping, that could be a good selling point. Would you happen to have one fitted? Interested in seeing what they look like; searching online I have found a number of images but only fitted to other models not the S1KR. might fall off not tried it yet havnt been anywhere with it on! Have a think about what you're going to use the bike for. Like you I want to fit a GPS mount and was about to buy the BMW central mount. However, I'm loving the bike and wondering whether it might actually become my tourer if I sell my GS through lack of use! 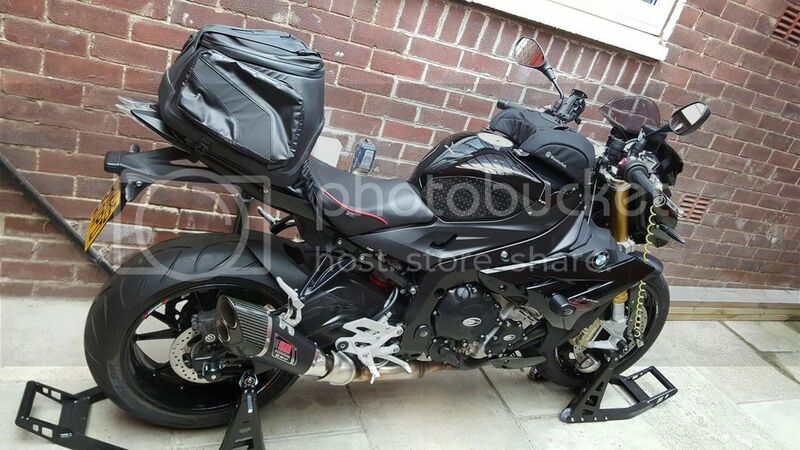 Touring on the S1000R will need a tankbag, and I'm pretty sure you won't be able to see the GPS on the central mount once a bag is on. So a RAM mount on the handlebar won't look as OEM, but at least you'll be able to see it when you need it! I'm going to follow this thread with interest as I have the same problem myself. I want to keep the bike looking sleek and even the central mount will offend me a bit!